thanks for the recipe! now i will need to do some baking this weekend...love your little cake stand! great pics! mmmm... I'll definitely try these - chocolate chip cookies are practically a staple in my house! The cookies look delicious! That is indeed a bumper-crop recipe too! 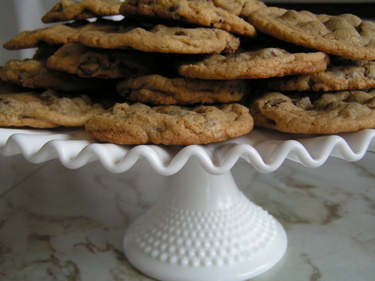 I love baking with my Pampered Chef stones which leave the cookies nice & moist too! Whenever I bake with regular cookie sheets, I always get flops! oh-kay. I am gonna try these! 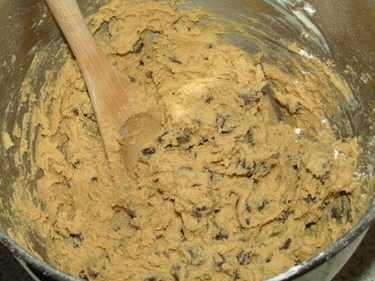 A new chocolate chip recipe!! Hooray! Thanks for sharing the recipe and for the very tempting photos. Oh YUM! Those look fantastic! Love the post and all the photos....especially the pink kitchen aid! Those look like the best chocolate chip cookies I've ever seen. Thanks for sharing the recipe! I want one NOW!!!! The looke so yummy ,and look at your cute pink mixer. I have to have my teenager make these for us she love to bake. I think I'm in love! 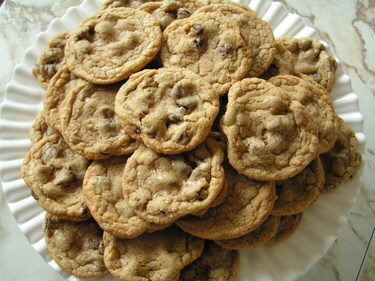 Chocolate chip cookies are one of my all time favorites. Looks like I'll be doing some baking. They look amazing, and I totally love the pink Kitchen Aid mixer - beautiful. Also love the cake stand - perfect! My mouth is watering. I should really go make these...I have the same cake plate to display them on and everything! Although when my 3 boys roll in after school, I doubt they'd stay there long. Love your pink kitchenaide mixer! I made chocolate no-bake cookies last night and when those are gone, I'm going to try your recipie (but only half ;)) Thanks for sharing! Hope your room move is coming along smoothly. Ohhh I am always always always searching for the PERFECT chocolate chp cookie recipe!! I am very excited to try yours!! They look fantastic!! Do you have a Panera bread near you? Ohh if so...you MUST try their chocolate chip cookie!! It is the best I ever ever ever tasted!! Sooo deelish!! I wish I had the recipe!! 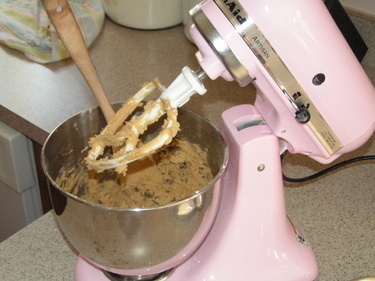 cookies and a pink kitchen aid---fantastic! oh you got my taste buds sparked now !! i love all your inspiration on your blog !! You are so sweet; can't wait to see you! 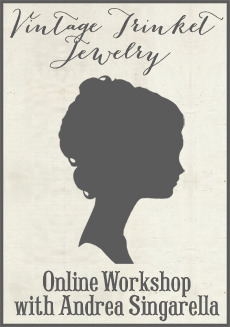 It's my first visit and your site is wonderful. Will definitely try those cookies. Look forward to visiting again. By the way, great PINK mixer!!! I have the boring ol' black version. =) I know, no creativity here! Oh my, I have just seen the only cake stand I have EVER REALLY wanted.